Radiant floor heating is gaining popularity in some parts of the country for its many advantages, and although it may not be right for all houses, it’s right for many. 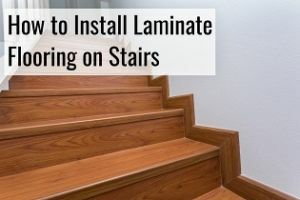 In this article we’ll take you through the journey you’ll be embarking on when you choose to have it installed in your home. We’ll talk about all the different aspects that you may be interested in, the pros and cons, and any other questions that you may have. We’ll also take you through a comparison with other conventional systems that are installed in a home to provide heating. Let’s start out by taking a closer look at what exactly radiant floor heating is and how it works, in case you don’t already have a fair understanding of it. We completely understand if you don’t know yet, hence why you ended up on this page. We’re happy to help you! A lot of people may simply be familiar with hot air coming out of the ducts installed around the home, and that way of heating your home is significantly different from this system. Also, if you’re looking to buy a home, is it a good option to go with? The fact of the matter is that this type of home heating is not new. In fact, we’ll cover in a later section how it’s been used for a lot longer than you would probably imagine. If you ask people, what an HVAC system is, a lot more people will somewhat be able to answer that question compared to the same question related to radiant floor heating. There are even a lot of websites that recommend this type of system compared to conventional ways of heating your home. The mechanics of it is that it uses electromagnetic infrared waves to heat you rather than heating the air around you. What that means is that you have a heat source installed underneath your floor that will emit heat that heats the actual floor. When the objects have been heated, those then radiate heat as a consequence. So rather than having heated air transferred to you through ducts going around the home, your floor gets heated. 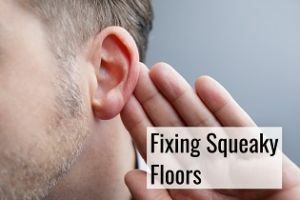 You’ve probably tried stepping on to a cold porcelain tile floor and thought you just wanted to get back on a carpet as quickly as possible. By installing infloor heating you won’t ever need to have that same sensation again. This will surely feel like the luxurious way of keeping your home warm in the winter. You should know that while getting infloor heating installed, another type of radiant heating includes baseboard radiators. If you have ever spoken to ceramic tile installers, one of your main issues might have been that the underfoot feeling might not be nearly as comfortable as some of those other types of flooring such as laminate, for instance, which is often used to imitate the look of tile. As radiant floor heating is often installed as a heat source underneath tile, here are the different pros and cons for you to be aware of. It feels great to walk on – if you’re one of those people that absolutely dread waking up to go take a shower in your bathroom because you know it involves getting cold feet, then here’s your solution. Never will you need to feel that way ever again. Simply imagine waking up, getting in the shower and getting out without immediately freezing. That’s a much nicer way of waking up. They don’t need to run at high temperatures to provide the necessary heating – if you ever feel a traditional radiator, which is also a type of radiant heat, which you’ll know if you read the previous section, you also know that you don’t want to accidentally touch them since they’re very warm and you might risk burning yourself as a consequence. Infloor heating can run at temperatures around 85 degrees and still make sure your home feels nice to stay in. As a consequence of operating at lower temperatures, you will also be saving electricity and saving money in the process. It’s better when you have kids – kids are naturally curious little humans and they run around your house with no care as to whether they’re getting hurt. Once they manage to touch your radiator, it’s too late already. They have burned themselves. The same option does not exist when there’s no heat source that their little hands can get access to. You won’t have a noisy system – if you’ve ever sat in a room and just gotten annoyed that the HVAC was making a lot of noise, you’ll be happy to know that that won’t be a nuisance when your heating system is hidden away in the floor. This system is almost without noise, and loved by many homeowners for exactly that reason. You can zone your house – if you don’t care much about keeping certain rooms in your house heated, there’s no point in doing so. With this system, you can just zone your home and only heat the parts that you are actively using, and as a consequence of zoning the need for heating, you’re not heating places with no need, hence what will lead to a lower energy bill too. It’s an invisible system – you don’t have ducts or anything else that you are looking at which is why it’s also the preferred option for interior designers. Overheating is not an issue – other systems may have a tendency to overheat your home if not carefully managed, yet that’s not the case with infloor heating. What do you do when you end up overheating the house? A lot of people might start opening the windows to compensate, and the warm air you spent money heating is now leaving your house again. How convenient is that? 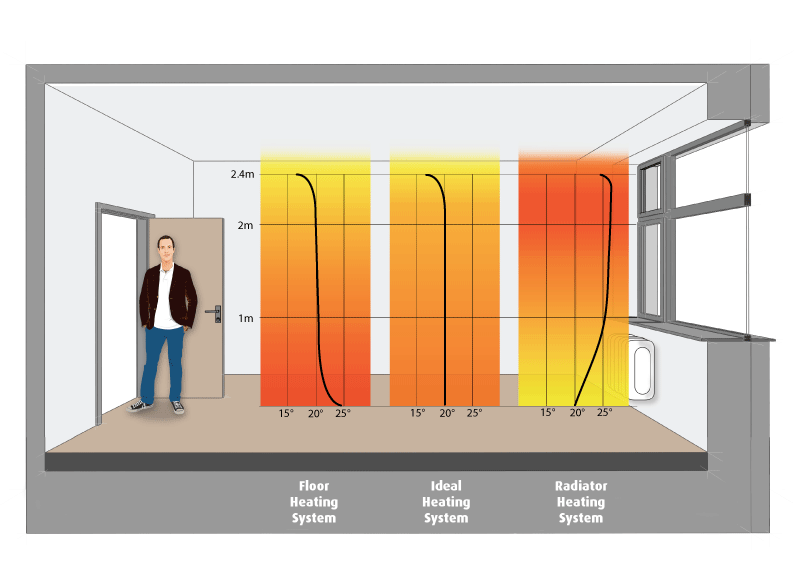 Even distribution of heat – since the heat source is spread out across the whole floor, it will ensure there aren’t cold zones like what can be the case for other heating systems. Increases in floor height is barely a concern – most people want high ceilings in their home, and you may have the concern that it will be lowering your ceiling height since the floor is being raised. That is in not a major concern since some systems will increase the height of the floor by no more than 1/2 inch, which won’t even be noticeable. Good for people with allergies – dirt, dust and other allergens can easily be pushed around your house using a traditional HVAC system, and you’re not having that happen when you’re using an infloor heating system. 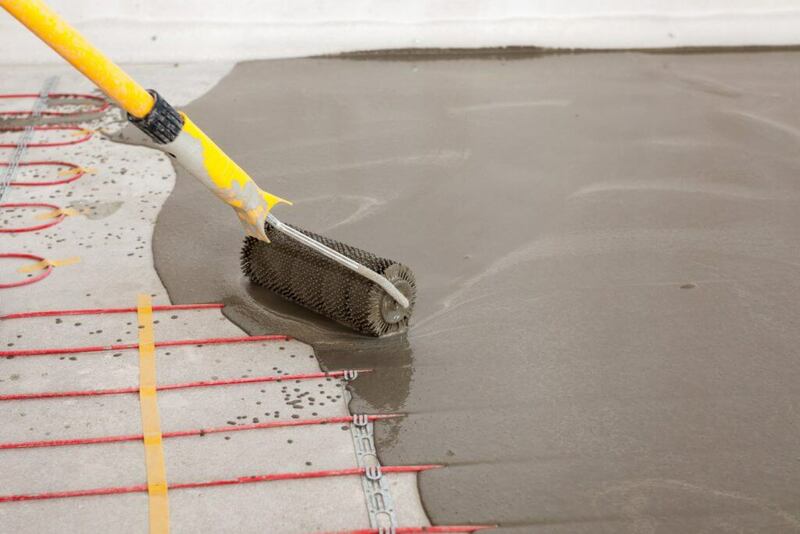 Retrofitting is expensive – even if it provides a lot of benefits, the best option is to install an infloor heating system during the construction of new homes and planning accordingly. It’s a wonderful option to go with, but it’s not cheap to have installed at a later point. Over time, you will save money though. It can take longer to heat up a space – when comparing it to traditional furnaces, using this method of heating can take a little longer to actually heat up the space, although if you simply plan accordingly or you get a programmable system, shouldn’t be an issue. Costly to initially install – you should generally expect that it cost somewhere between $10 to $20 per square foot to have it installed, although it will be a good long-term investment, where you will lower your heating bill and you’ll still be able to recoup most of the money through an increase in the resale value of your home. It doesn’t cool your home – this is a system that is made to heat up your home so in places where cooling is traditionally important also during the summer, you will need to be aware that it might take care of your heating needs but not take care of the cooling needs. The image above illustrates one of the problems with radiators in comparison to underfloor heating, which is the uneven heat distribution. When you heat the floors, it ensures that the heat is distributed evenly, and that there aren’t zones that are either too warm or too cool. After 120 minutes of heating using the radiator, a homeowner simply might be tempted to open the window because it suddenly got too warm. You could use a fan to help better distribute the air but is that really what you want to do simply to ensure even distribution? From the above section you also read how there’s no option for little kids’ hands to accidentally touch a warm heat source, which can’t be said to be true if you install radiators. Also, what part of your body do you feel is usually the first one to get cold? If you’re a lot like other people you might have said your feet. The good news is that it won’t ever be a problem again. Heat naturally rises and what that means is that it will be warmer closer to the ceiling than it is next to the floor. It’s also the reason why you might have experienced that the top floors of your house tend to be warmer than the bottom ones. With this type of system, your feet will once again love you. Additionally, radiators may end up with a situation where you overheat your home and you’ll then need to let out all that heated air to once again feel comfortable. Radiators can be big and chunky, and at the very least less sightly to look at than something that’s invisible. With this option you can use your walls exactly the way you want to. You get all the freedom to put all the furniture the way you want with no restrictions. While radiators can be zoned too, that hasn’t traditionally been how they were built, meaning that you don’t get the same advantages from using zoning if all areas are centrally controlled by a thermostat. While it’s a generalization since they can come with their own respective thermostats, it’s just not usually the case. If you do end up having radiators installed, ask your flooring contractor if the system you have been quoted involves the ability to zone the space or not. Radiators also require more regular maintenance, and in order to provide as much benefit as possible, they will need to be installed in the coldest part of the room too. 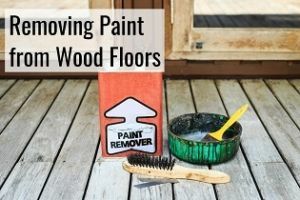 Since they’re a lot nicer to walk on and they have so many other benefits, they’re also more likely to increase the value of your home in the process. There are different types of infloor heating systems, and while the best idea is to follow the recommendations of your contractor, we’ll be happy to provide you with some basic guidance on the different options. These are not very effective and admittedly rarely used as a consequence. You can use them in combination with solar panels, but what happens when it’s night and there’s no sun? That’s right, without the sun, the solar panels won’t be generating a lot of heat. Another obvious disadvantage to these systems is that the time when you’ll be most likely to need the system is during the winter, yet that is when there’s going to be the least amount of sun possible. This way, you’d only ever be generating heat at the times when it’s less needed. While you may wish to better incorporate the use of solar panels into your home, it simply might not be the best way to do it. While the electric radiant system is better than a traditional electric heater, it will not be the one that provides you with the best efficiency. Heating with electricity can be expensive, although there are times when it makes sense to make use of. Does your electrical company provide special rates at special times of the day, outside of peak use? 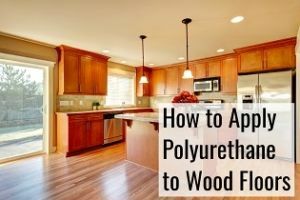 If done so, you can use that period of time to heat your floor, and that’s the one time it actually makes sense to use this type of heating in combination with a thicker type of flooring material. When you do it like that, the material will basically act as a heat battery in that period of time, get charged, and then once the price of electricity goes up again, you can have your system automatically turn off, while the material will be able to still provide heat for hours because of the mass that has been heated. This is the most cost-effective system you can go with. While both the electric one and this one will provide the same result, a nice and warm floor, they won’t cost the same to have running. The hydronic option is substantially cheaper. When you start having a big area where this is installed, the cost of operating it starts becoming rather significant also and should be taken into consideration. Are you simply thinking of installing it as part of a bathroom remodel, then it doesn’t matter quite as much. Besides being very cost-effective and providing all the other benefits that the system provides in general, you’re getting a heating option that can last more than 40 years when you’re getting a quality, well-designed system, which is significantly longer than most other options. The hydronic system is more expensive to install than the electric one. What is the Best Flooring for Radiant Heat Systems? Not all floors are made equal when it comes to their potential for being good contestants with underfloor heating. Some materials are simply superior. There are some materials that will be better at transferring the heat from the system up to your feet, and that influences whether it’s a good material or not to go with. The better the conductivity, the better you will be able to feel it. Any type of material will basically be heated if this system is installed underneath it, but not all systems are equally good. The clear winners when it comes to finding the best materials will include tile and stone. They’re materials that generally have a cold underfoot feeling, which is another reason it can use some heating. The good news is that once it happens, the materials are good at retaining the heat. Now you don’t have a reason not to install that beautiful ceramic tile any longer that you always wanted! When you’re choosing a material that should heat quickly, when you want it to, it’s important to consider how thick the material is since more material will also make it last longer to heat. A good rule is to avoid material being more than 3/4″ thick. When going a little bit broader, you will see that there are other materials that are very strong contestants too, and these include marble, slate, flagstone and polished concrete. They all have good thermal conductivity and are easy to clean. They’re also all floors which have the additional advantage of being easy to maintain, which is a different advantage to keep in mind. When you’re considering using wood, it’s important that you consider some of the properties, and that you look into their different aspects. While some types may be used, others are less ideal. Solid maple flooring doesn’t have the same properties as engineered wood, for instance. 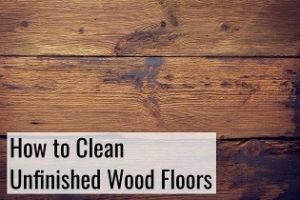 Since wood will react to changes in temperature and humidity, it’s important to make sure you’re getting a type of material that can handle what you are going to be exposing it to, or you might very soon find your wooden floors starting to make squeaky noises. Traditionally, engineered wood is better for the purpose, although it’s a discussion you will need to have with the contractor who will be installing it for you. The thicker the boards, the more likely they also are to actually ending up becoming additional layers of insulation rather than helping heat your floor. We cannot stress enough that it’s important that you consult with professionals when choosing wood as they might otherwise end up warping. Using Laminate – Yes or No? Laminate flooring is often known for its many appealing features, and the fact that a lot of them can be used in combination with infloor heating doesn’t make it a less appealing choice to go with. Again – check with the manufacturer’s recommendations. Vinyl flooring will often have limitations in terms of how much heat can be applied to them, and that means if it’s installed in a room that will lose a lot of heat, it’s not going to be ideal, however most types will otherwise be fine for the purpose. While carpet can be used for the purpose, it’s generally not the recommended material for it. Generally you should aim to install as little of it as possible, and preferably more ceramic tile. You should be aware that if your material insulates the home, you will get a system that doesn’t operate as efficiently, and rather than bringing as much heat up as possible, it will simply keep it in the ground. 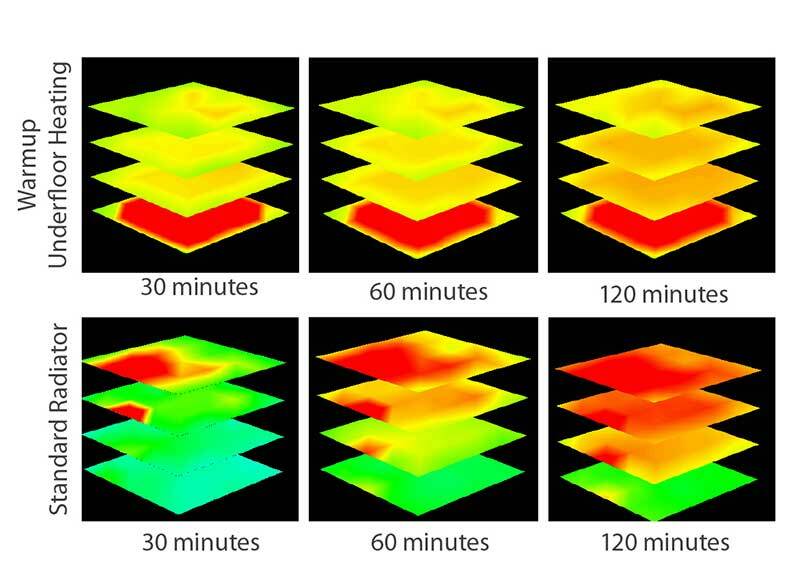 Thinner carpets will do better than thicker ones, but it’s still not the best material to go with. While you may be associating moisture in the home with problems, the reality is that the ideal level of moisture will improve your home’s air quality. We’re simply creating this section on moisture since there are some types of floors that you might be tempted to use for the purpose, but if you do so, it could dry them out, causing them to go through contraction and expansion cycles, which could ultimately be problematic. While there isn’t a lot of maintenance with such a system, it’s still important to mention that it’s not completely maintenance-free, and that doing due maintenance will always be advantageous no matter which part of your home you’re talking about. An HVAC unit also needs maintenance to keep it lasting as long as possible. It’s rather easy to think that since there is no air filter, that it’s a system that doesn’t need maintenance, but that’s not necessarily true. When you’re otherwise getting your boiler inspected, you should also get your radiant floor system inspected by someone who specializes in it. It’s important that the pro makes sure that the system has the right amount of pressure in it. A lack of pressure could be caused by a leak somewhere that would need to be found and repaired, since water leaks include both risks of water damage as well as making the system less efficient. The type of pipe that the system has been built with will affect the ease of repairing it also. Making sure that the system has the right amount of pressure first includes actually finding out what the right amount of pressure is, which will vary by the system also. Has the pump recently started making weird noises or simply been louder than usual? This could be an indication that the pump is having problems and at least needs inspection. The pressure release valve and the reducng valve have important functions and when they’re not operating as well as they should be, this will put unnecessary strain on your whole system, which in turn decreases the expected life of it. By having maintenance done to the system, you can have malfunctioning valves fixed, and you’re then ensuring that it will be longer before you’ll be facing expensive repairs. With proper maintenance you should be able to get a lot of joy out of your system, but it does require that it’s properly maintained, and leaks should definitely be fixed whenever they’re found. With the maintenance being so easy to do, there’s really no need not to have it done. If you notice changes in its ability to keep your home warm, it could be an indication of a leak, but if you installed carpet or otherwise redecorated, this can also be what is in fact causing it. One reason why a lot of people sincerely prefer radiant floor heating over forced air is because air isn’t being blown. It might be comfortable to sit in front of the ducts that are letting out the warm air, but it could also be uncomfortable, and since radiant floor heating is distributed evenly, many prefer it for that very reason. Forced air also does not have the advantage of helping your feet on a cold bathroom floor. While forced air might be cheaper to initially install, it’s more expensive to run since you won’t have a huge loss of heat, which is the case with ducts, especially when ducts aren’t insulated. Radiant heating is 30% more efficient, and when continuous heat is what you truly value, homeowners also prefer it with that in mind. You won’t have the same trouble with allergies either. If you have ever had to adjust the thermostat because the HVAC never really seems to get the right amount of heat, that will be less of a problem when you install infloor heating. Any small leak in the ducts will also let out the air that was intended for a specific room, into an undesired space instead, so you might in fact just be heating the attic instead. When you’re having problems with different parts of your home being different temperatures, because heat rises, that is also something that will be increasingly a problem with forced air. The people on the top floor might be having trouble falling asleep because it’s significantly warmer, and those on the lower levels might be finding that they need to put on a sweater to cope. Zoning the house depending on the different temperature needs becomes practically impossible if you’re using a forced air system. Consequently, you’re heating everything where that might not even be necessary. Forced air systems will usually produce air that is 120 to 140 degrees warm to be able to provide the heating properties that you’re hoping for, which is also significantly higher. Additionally, one system creates significantly more noise than the other when it’s working. From this article, it should be easy to figure out which type we’re talking about. Forced air will have the advantage it starts working faster when you need to immediately heat up your home, but since it doesn’t mean there’s actually any radiant heat present, and that also means that it will cool off a lot faster too. There are many different heating systems for you to choose from, although there are principles that apply to all of them when it comes to how you can heat your home while spending less money. First of all, you obviously need to find out what it is that is going to be heating your home. Is it in fact floor heating, or are you going for another option? No matter what, these principles apply. Full central heating is often not the most effective solution, and it only becomes less efficient the bigger your house is since you’ll likely be using a relatively smaller portion of it all the time. If you’re not using your basement very often, why does it necessarily need to be kept the same temperature as the rest of the home? Make sure that the option you go with is able to be programmed according to your wishes. While it might be very comfortable to always keep your home the perfect temperature, chances are that it’s actually not needed. When you go to work, there’s no need for it to keep your home 72 degrees all the day during the winter. A timer should be programmed to accurately reflect the patterns of you actually being at the house. If you’re currently installing the system, you could even choose to spend a little bit more and have a smart system installed for convenience. What that will allow you to do is to be able to control the system remotely, meaning that if you’re suddenly getting home from work earlier than expected, you can make sure that the heating is on and it’s nice to get back to also. There are different factors that will affect the cost to operate the radiant floor heating system. The amount of time that you have the system turned on will obviously affect the cost, but you can usually expect the cost to heat a bathroom to come out at roughly $32-60 per year, if you assume the bathroom is 15 square feet and the price per kWh is $0.15. That is if you assume that it is running for 8 hours per day. The cost to heat a 60 square feet kitchen will cost between $138 and $229 with the same assumption of the kWh price. 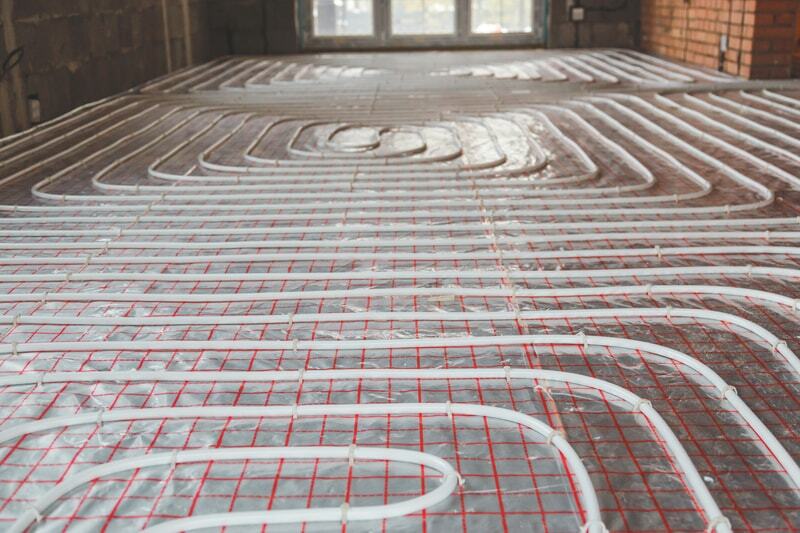 How Do You Make Sure a Radiant Floor Heating System Operates More Efficiently? We have already talked about the manner in which you can zone the different parts of your home which in turn will create different temperatures, and that this can be used to lower your overall, however while it’s important that you don’t insulate upwards with this system, it’s imperative that you insulate in the other direction. The heat will seek towards the path of least resistance, and if you have a type of material that insulates really well, like a thick carpet, most of the heat will either be trapped or be seeking to leave in other ways, such as in a downward direction. What you want to make sure happens is that you keep the heat from fleeing downwards, and that it has as easy access to your home as possible, which means you need to insulate underneath the system. The cost of the installation of your radiant floor heating system depends on a lot of different things, which is why it’s difficult to generalize. 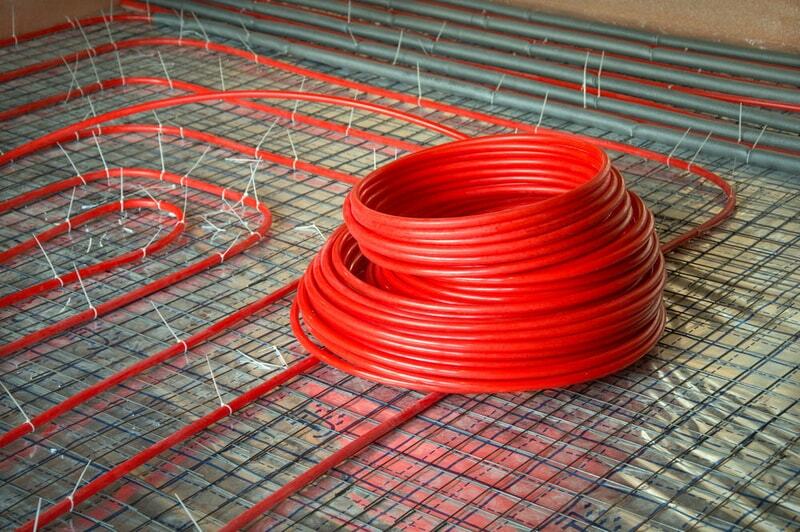 The national average cost of installing a radiant heating system is roughly $3,600, although it can go up as high as $10,000, although it typically doesn’t cost more than $6,ooo. All the factors below will influence the cost that you’re paying. The amount of zones you’re creating – the more complex the system you’re having installed, the higher the cost as it will also influence the design and the installation of the corresponding thermostats. 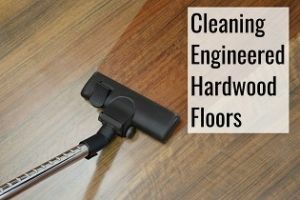 Whether or not you’re needing to remove existing flooring. Possible additional support if concrete is added around the system. The size of the space where it is being installed – since it is often calculated per square foot, the more square feet of installation there will be, the higher the overall installation cost also. If you live in an area where your main concern is heating up your home, then this could very well be a good option for you to consider. When you’re also very concerned with cooling, an HVAC system might rather be what you need. Do you and your family live in an area where you are keeping the doors and windows open all the summer and that provides enough cooling? Well, then it could still be the right option for you. Our recommendation is that you at least take the time to have a conversation with a professional contractor about your options as they’ll be the ones that are best able to provide you with meaningful feedback on your specific situation.